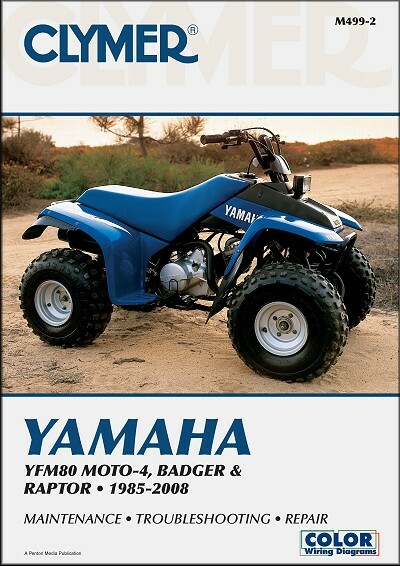 Yamaha ATV Repair Manuals, Find the Manual for Your Quad Here! 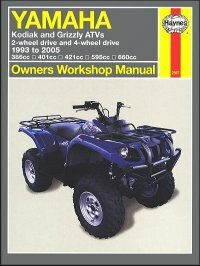 Here is the complete list of Yamaha ATV Repair Manuals, just in case you aren't completely sure which Manual you need. 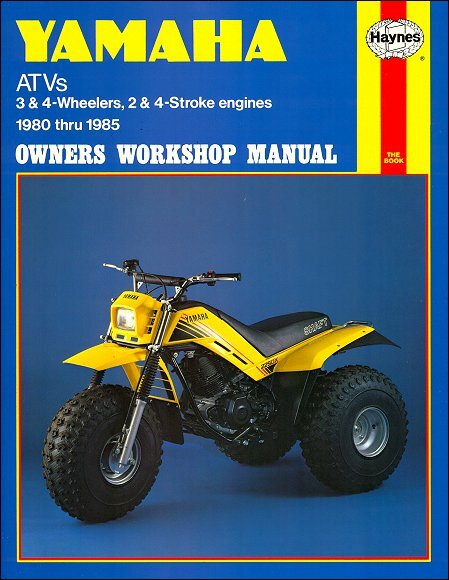 Simply run down the list and find your ATV Repair Manual, then click on the picture, or the title, and you will go to the order page. 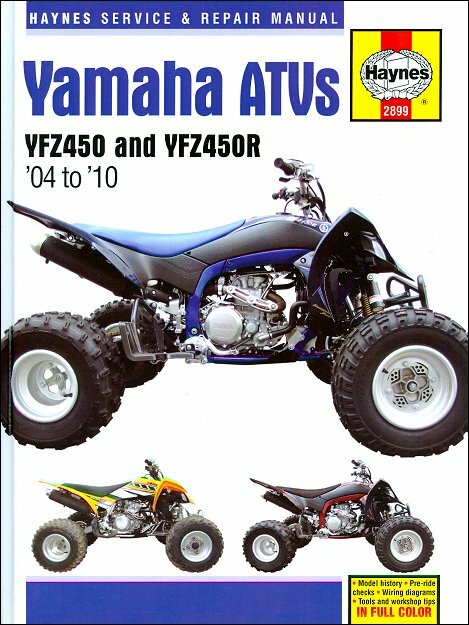 If you have a question about the year or model of your quad, try our Free VIN Decoders to make sure what ATV you have before you place an order. Once you have your Repair Manual, make sure to slip it into your gear bag before you ride. That way, if you find yourself needing to adjust or repair anything on the trail, you will have all the info you need at your fingertips. 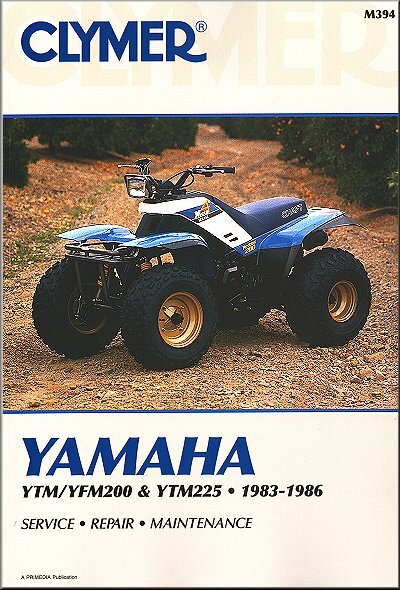 Yamaha YTM200, YFM200, YTM225 ATV Repair Manual 1983-1986 is available for only $26.95 from TheMotorBookstore.com. Largest selection of Clymer, Chilton, Haynes, Bentley and Seloc repair manuals at discount prices. 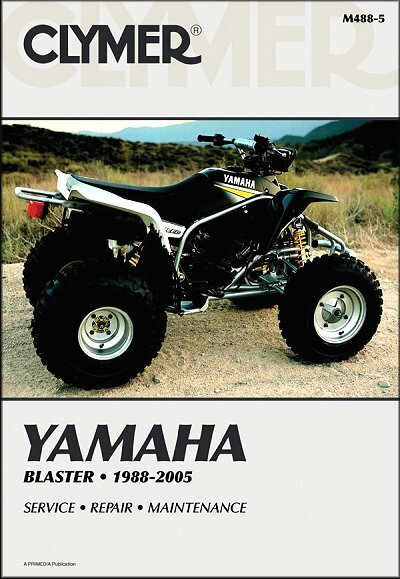 Yamaha YFM80 Moto-4, YFM80 Badger, YFM80 Raptor ATV Repair Manual 1985-2008 is available for only $26.95 from TheMotorBookstore.com. Largest selection of Clymer, Chilton, Haynes, Bentley and Seloc repair manuals at discount prices. 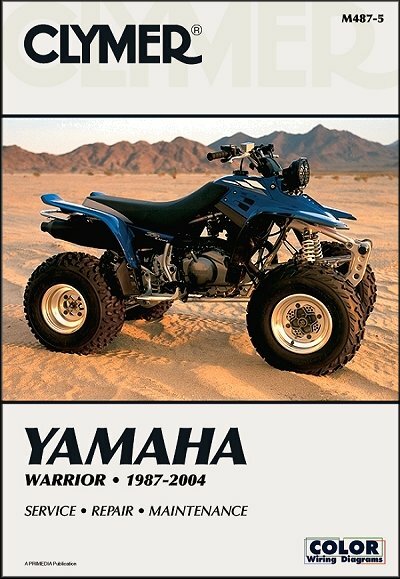 Yamaha Warrior YFM350 ATV Repair Manual 1987-2004 is available for only $26.95 from TheMotorBookstore.com. Largest selection of Clymer, Chilton, Haynes, Bentley and Seloc repair manuals at discount prices. 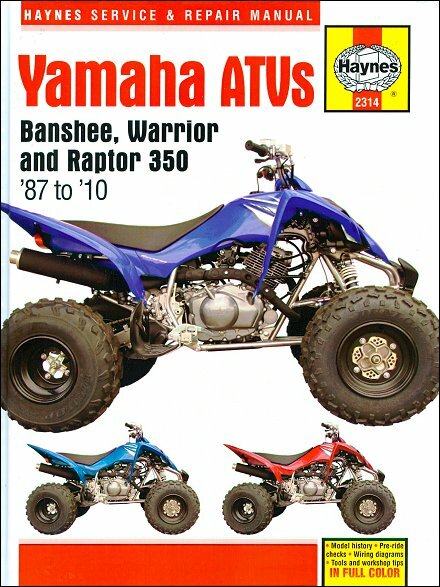 Yamaha YFZ350 Banshee, YFM350X Warrior, YFM35 Raptor 350 Repair Manual 1987-2010 is available for only $34.95 from TheMotorBookstore.com. Largest selection of Clymer, Chilton, Haynes, Bentley and Seloc repair manuals at discount prices. 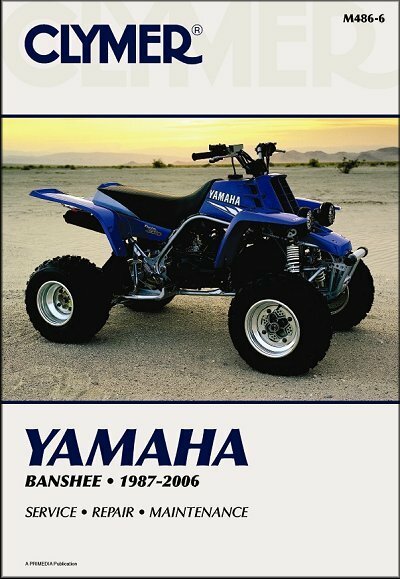 Yamaha Banshee YFZ350 ATV Repair Manual 1987-2006 is available for only $26.95 from TheMotorBookstore.com. Largest selection of Clymer, Chilton, Haynes, Bentley and Seloc repair manuals at discount prices. 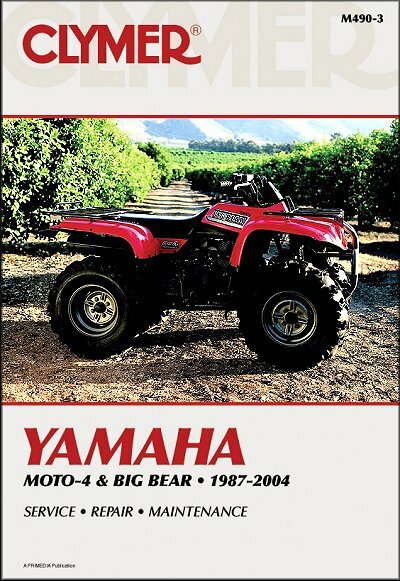 Yamaha Moto-4, Big Bear ATV Repair Manual 1987-2004 is available for only $26.95 from TheMotorBookstore.com. Largest selection of Clymer, Chilton, Haynes, Bentley and Seloc repair manuals at discount prices. 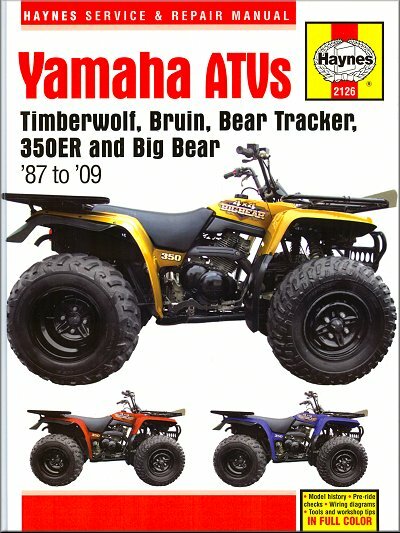 Yamaha Timberwolf, Bruin, Bear Tracker, 350ER, Big Bear Repair Manual 1987-2009 is available for only $34.95 from TheMotorBookstore.com. Largest selection of Clymer, Chilton, Haynes, Bentley and Seloc repair manuals at discount prices. 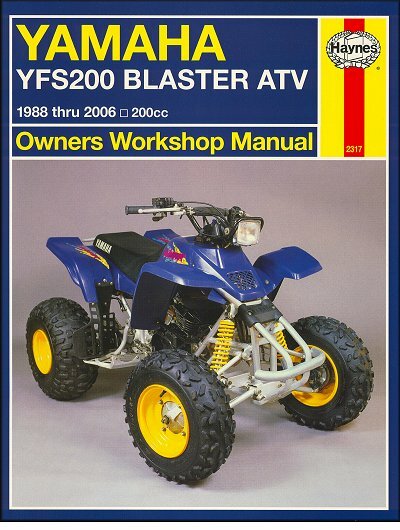 Yamaha Blaster YFS200 ATV Repair Shop Manual 1988-2006 is available for only $27.95 from TheMotorBookstore.com. Largest selection of Clymer, Chilton, Haynes, Bentley and Seloc repair manuals at discount prices. 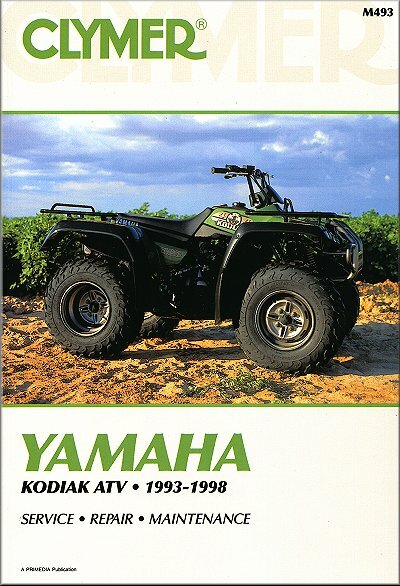 Yamaha Kodiak YFM400 ATV Repair Manual 1993-1998 is available for only $26.95 from TheMotorBookstore.com. Largest selection of Clymer, Chilton, Haynes, Bentley and Seloc repair manuals at discount prices. 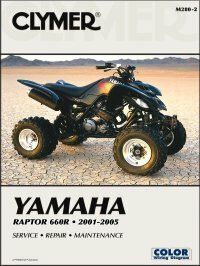 Yamaha Raptor 660R ATV Repair Manual 2001-2005 is available for only $26.95 from TheMotorBookstore.com. Largest selection of Clymer, Chilton, Haynes, Bentley and Seloc repair manuals at discount prices. 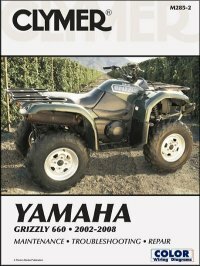 Yamaha Grizzly 660 Repair Manual 2002-2008 is available for only $26.95 from The Motor Bookstore. Largest selection of Clymer, Chilton, Haynes, Bentley and Seloc repair manuals at discount prices. 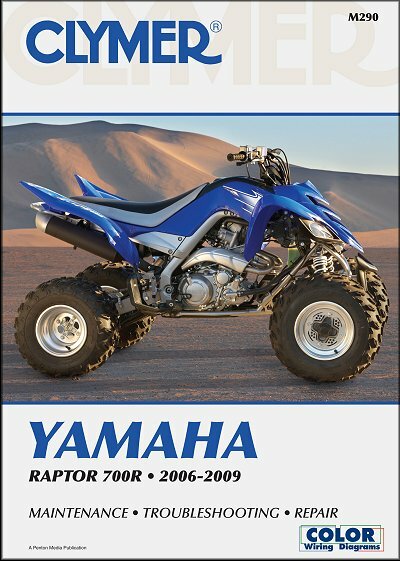 Yamaha Raptor 700R, YFM700R, YFM70R, YFM70RSE Repair Manual 2006-2009 is available for only $26.95 from TheMotorBookstore.com. Largest selection of Clymer, Chilton, Haynes, Bentley and Seloc repair manuals at discount prices.